Girl in a blanket using smartphone at night in front of blurred city lights. 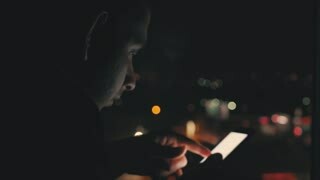 Girl using smartphone at night in city. 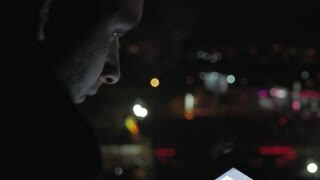 Young man using smart phone cell app technology at night in front of blurred city lights.